I completely expect to catch flack for this, but I am tired of being silent. I can’t stand the Wii console from Nintendo. I understand it has some good games like the new Mario, but the hype over the system and the fact that it’s not much more than a glorified accessory machine doesn’t help. We all know it has sold. I was not one who bought one, but I have played it. Now here is my reasoning. Remember the Apple iMac? Everyone had one, it was shown on almost every sitcom, but nobody ever used it. 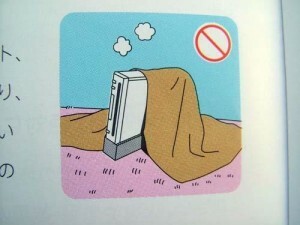 The Wii is the new IMAC, everyone got it because it was new and shiny, but in the end it sits unused like your treadmill. When it was first released everyone talked about how fun it was. Funny thing is every time someone wanted to play it they were intoxicated on something. I guess the reason is nobody could have that much fun swinging wildly into the air unless you are drunk. Now most of the people I know who have one have it sitting under a pile of accessories unused. We now play Rock Band when drunk. You ever heard the saying that something is no longer cool once your parents like it? 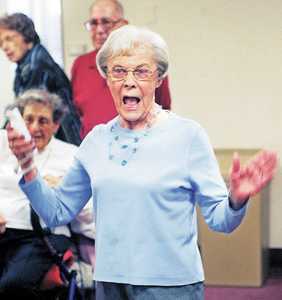 Now I don’t want to get in trouble with the AARP, but did you know there is a Wii bowling league for senior citizens? Yes, that ultra hip piece of technology is the favorite plaything for the baby boomers. It narrowly beat out checkers and shuffle board. Wii Tennis has beat out not only Wolf Blitzer from CNN for things to watch after 5pm, but even Matlock gets TIVO’ed so grandpa Joe can get in a game of Tiger Woods-free Wii golf. 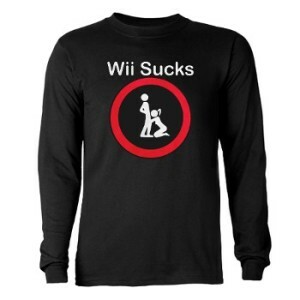 You know what is the number one response when I insult the Wii? “We’ll you can play old games like Excite Bike” Oh really? Well, it’s not like I ever had a chance to play that since ’85. I guess people never heard of something called M.A.M.E. or ZNES. Perhaps I am not supposed to speak about those to the public, kind of like Fight Club. Even the so called new games like the sports pack are nothing more than glorified Yahoo games with an add-on so you can chuck hard plastic at your television. Hey Wii, the Game Cube called it, wants its graphics back! Worst yet it reminds me of the console wars back in the Sega, Nintendo days except this time it’s PS3 and XBOX 360 fighting it out and the Wii getting the scraps. My question is how many Mario games can you look forward too? I love Mario, but damn. Speaking of Mario, is it just me or is it an abomination to see Sonic and Mario together in a game? I liked the back and forth of which was the better franchise. It’s like Coke and Pepsi coming out with a drink together. Well Coke tried that with New Coke and you remember what happened there. Nintendo could care less with the cash it is raking in and in the age of the ipod we know people like overpriced pretty colored devices so the Wii fits in perfectly. Between the Everybody Votes channel and the Mii’s Nintendo has the winning combination for our American Idol’d world. All Nintendo has to do now is add Farmville to the Wii and the final sign of the apocalypse will be upon us.